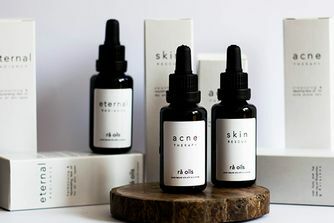 The embodiment of three sisters’ combined creative flair and faith in cosmetics’ capacity to transform and empower, Rituel de Fille stars only the finest, cruelty-free ingredients. An irresistibly minimal formulation, this chameleon concealer adapts to your skin’s undertones to offer a softly diffused, undetectable silk finish. The richly blendable texture builds to full coverage for seamless spot covering, under-eye brightening and full-face complexion enhancement. Enriched with moisturising jojoba oil and frankincense, the formula nourishes your complexion as it camouflages – a sublime concealer if ever we saw one. For sublimely seamless coverage, Rituel de Fille’s The Ethereal Veil Conceal and Cover is crafted from a boldly minimal list of 99% natural ingredients. The chameleon shades adapt to your skin’s natural undertones to offer an undetectable, softly diffused, silken finish. The richly blendable texture can be built up for full coverage, whether you’re camouflaging blemishes or spots, brightening your under-eye area or opting for a little full-face enhancement. Free from synthetic fragrance, talc and mineral oil, the formula nourishes skin as it effortlessly conceals, enriched with jojoba oil, a lightweight emollient that mirrors skin’s natural moisture and frankincense, renowned for its protective, calming qualities. 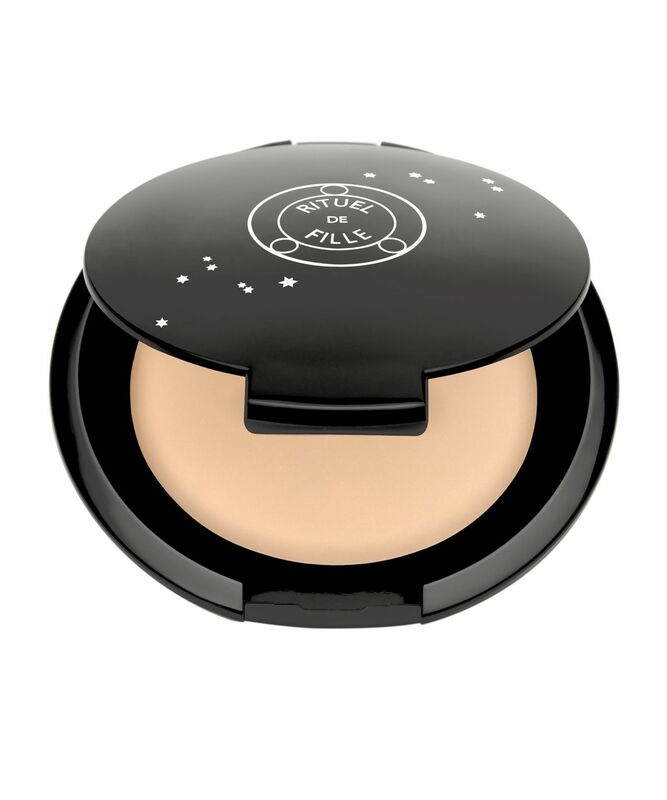 For spot concealing, apply a shade close to your base color with fingertips or your favorite complexion brush. Undertones and depth of color can be used to create full-face complexion enhancement. One shade can conceal beautifully, while two can enliven your whole face with highlight, contour, and overall coverage. Select one shade slightly lighter than your natural skin tone to highlight, one shade slightly darker than your natural skin tone to cast shadows, and mix both for the perfect all-over shade. I wonder why this has so much praise. First of all it's really greasy, and it feels oily even on my sensitive dry skin. Secondly, it is also very dry and sticky. I'm confused about how it works to do both. I like the packaging, but nothing else. I purchased Ceres for the base first, then got Metis for darker shade or for summer. When I opened the box Ceres looked a bit warm or pinky, but after tapping it melt and matched with my skin very well. I really love these. Because I felt a bit dry with the very cold dry weather, I put 4 stars. but I am sure I will keep using these. I love this! 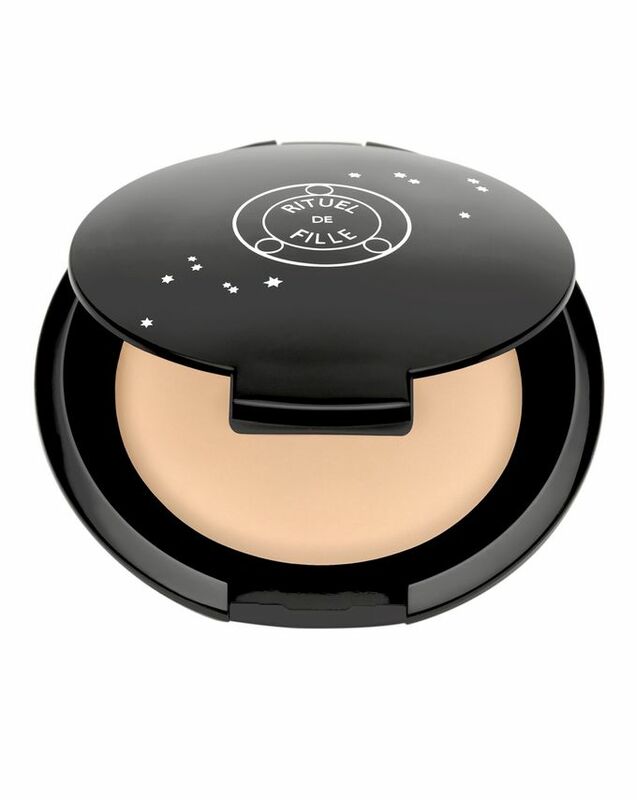 First of all, thank you Rituel de Fille for launching a concealer in a compact with a mirror. Finally! So handy for touch-ups. I bought the shade Ceres and it's perfect for my light-neutral complexion. I was worried that it would be too warm when I first opened it, but it truly disappears into the skin once I warm it up and pat on blemishes. It's sheerer than other concealers I own, but it visibly corrects pigmentation without being noticeable at all. Great product! I'm now using Ceres. Fits and blends well to quite light north-european skin. Easy to tap on with fingers, slightly covers blemishes, but doesn't make you feel with ton of toner on. There is slightly shiny effect, makes the skin look fresh. I have mixed-oily skin and was aware if this product wouldn't make it look even more oily, but it doesn't. Nice texture, smell, comfy package with mirror. Simply great product. 4 stars, because to me it crackles into small wrinkles under eyes, so I just avoid tapping it there. So much love! I loved Rare Light and Inner Glow, they made me a big fan of the brand, but at first I was disappointed by Ethereal Veil since it didn't seem to do much other than give me a yellow-ish, oddly powdery look, ended up putting it aside for two weeks and then decided to try again differently. Turns out the trick was to warm it up with my finger to make it creamy and pat it onto the skin (not rub it or brush it, for me at least! ): the result was fantastic! I use it for full-face enhancement, and while it doesn't reach full coverage, or at least I haven't tried as it's not my aim, it is buildable and conceals the redness of my acne scars enough. I used RMS's Uncover Up before this, but I love this so much better! I don't know how long it will last, as it seems less quantity than Uncover Up (although also cheaper), but it lasts the whole day without touch ups, without enhancing dry flakes as Uncover Up did, or looking cakey. Definitely my new must-have foundation!